This post is sponsored by fairlife. I only work with brands I love, so thank you for helping me to support them. Ya’ll know my love of fairlife. If you don’t, read this blog post. Everyone in the family has at least a glass a day. I also like to incorporate it in our every day activities. Why? Because each 8 oz glass of fairlife ultra-filtered milk has 50% less sugar than other leading milk brands, 13 grams of protein, and 9 essential nutrients. Here are some ways we’re cooling off this summer with fairlife. Summer can be the best of times, and the worst. We love having all of this extra time with our children, but it can also get overwhelming. 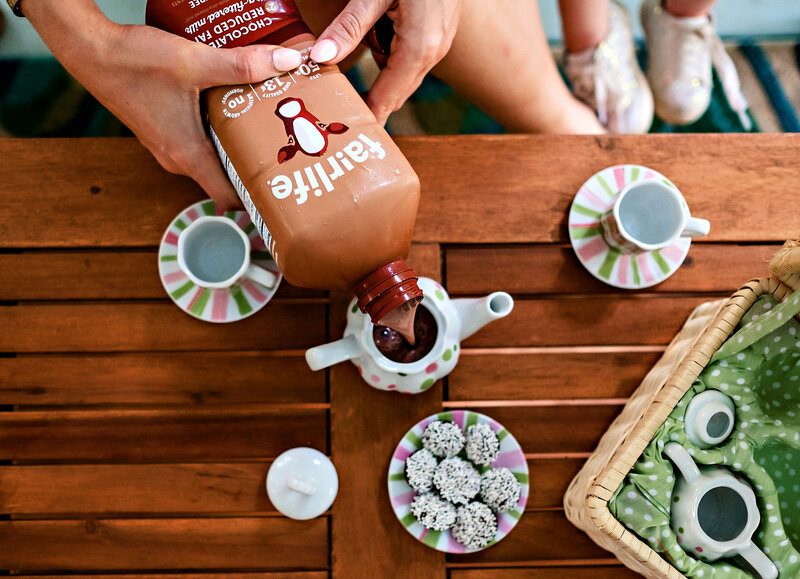 To help with that, I’ve teamed up with fairlife to give you some easy summer sweet treats and activities you can do with your littles at home for some summer fun. 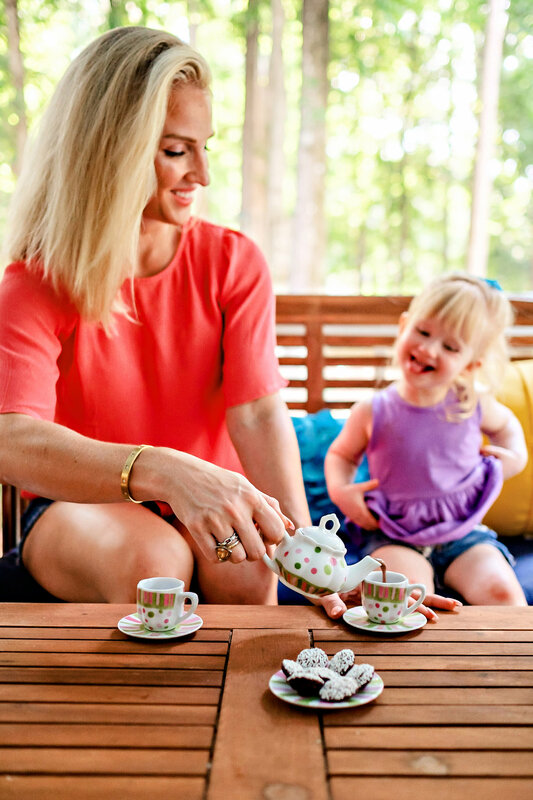 First, a tea party is always a hit. I bring out little cookies, we fill the teapot with fairlife chocolate milk, grab the stuffed animals, and we have ourselves a little tea party. Another easy idea for summer sweet treats? Pour fairlife chocolate milk into popsicle molds and freeze. They taste just like fudgies, but are way better for your sweet nuggets. Our favorite, and something we do every day, is make smoothies. I actually have the kids help me and they get to pick fairlife ultra-filtered milk or chocolate milk and which fruits and veggies we’re going to blend. They love it because they get a say in what we’re making, and I love it because I know they’re getting plenty of protein and nutrients. If you’re looking for more recipes you can do with the kids, check out my healthy ice cream bar, and my vanilla pudding recipes! 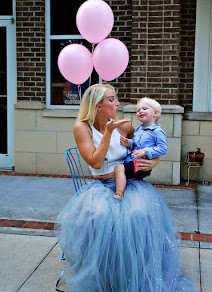 What fun summer sweet treats and activities do you do with your kids? I think I have seen this milk before but not too sure because I don’t really pay attention to milk thanks to my Lactose Intolerance. That being said, I love the packaging!!! That alone would make me want to buy it! 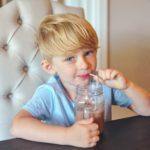 Chocolate milk popsicles are a staple in our home! Using fair life in our next batch seems like a no brainer! I haven’t paid attention before, now I’ll have to see if I can find this! We don’t do tea parties because I have boys who are more interested in dinosaurs and construction trucks, but I bet they would love a popsicle after playing in their sandbox all day! I’ve never seen this milk before so maybe they don’t have it in the UK… I do love a tea party though! I think we’d all like the chocolate milk. These sweet treats would really be a hit around here with the grandkids. I need to try to make them some popsicles with the chocolate milk. I have been to the fairlife farm. Their chocolate milk is amazing! It is a treat all by itself. Oh this looks fab! 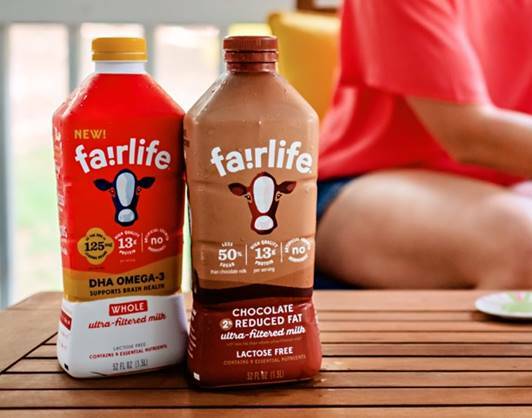 I haven’t heard of the fair life farm before but I do love chocolate milkshake! Lovely photos! That tea set is so adorable;e. I would love to have something like that with my girls. Also we are huge fans of theirs, the chocolate milk is one of my kids favorites. This sounds great. Unfortunately my son is lactose intolerant but really hoping he grows out of it so he can enjoy chocolate milk someday! I’ve seen this brand around but haven’t tried it. Awesome that you can freeze it and make fudgesicles! I’ve seen this brand in my supermarket many times but haven’t picked it up yet. I’m definitely wanting to try their chocolate milk now! I love your ideas about serving it in a tea party or freezing it for fudgesicles…really clever ideas for getting children to drink more milk. Haven’t seen this brand of milk /chocolate milk before. When we want chocolate milk we go for TruMoo! But if I see this in our local grocery stores, I’ll definitely give it a try. The popsicle idea is so creative. Love how cute those cups are too! Oh wow I’ve never heard of this brand but it seems super awesome! I’ll have to pick some up and try it out! This is something I have to share with my bestie! She would love this. I’m not sure if it’s for me but a few of my friends would. I’ll share with them!! It is a treat all by itself.